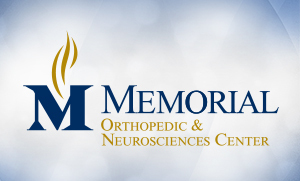 Cindy Glaenzer, Memorial's certified hand therapist, discusses hand therapy after injuries. Talk about some injuries you've treated with hand therapy. Two of the larger cases that I've had were industrial injuries. The first one was an industrial injury where the person had his hand caught in a machine. It burned all of the extensor tendons on the back of his hand, and he needed a graft done. They did skin grafting. They also had to do a graft where it was attached to his belly to get vessels to come into that area and supply that. He actually is doing excellent. That was a few years ago, and it took quite a few surgeries and quite a lot of therapy, but he was very determined. It was very successful. He's a dad, and he is still working full time doing the same job he was doing before. We have traumatic injuries like a frostbite injury where the person loses their fingers. We get a lot of saw injuries where people lose their fingers. You figure out ways for them to cope with that or use prosthetics. We can do the new myoelectric hands, which are pretty impressive. I had a person who lost her entire hand and wrist in an industrial accident and trained her with the myoelectric. She did everything, except she wanted to be able to quilt and because they don't have sensation, she couldn't feel the needle on the underside. We figured a way for her to quilt, pushing down, reaching under, and touching it. As long as they're willing to work with it, it's really rewarding to help people get back to their normal self after such traumatic injuries such as losing fingers or an entire hand.